Jacana SMART water resources. 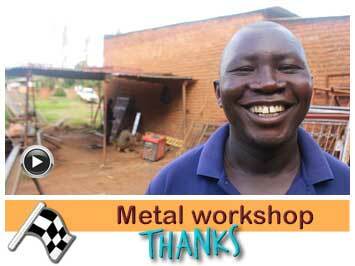 Manuals, guidelines and tools for free. Jacana SMART water resources. 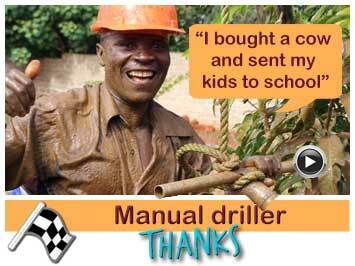 Manuals, guidelines and tools for free. 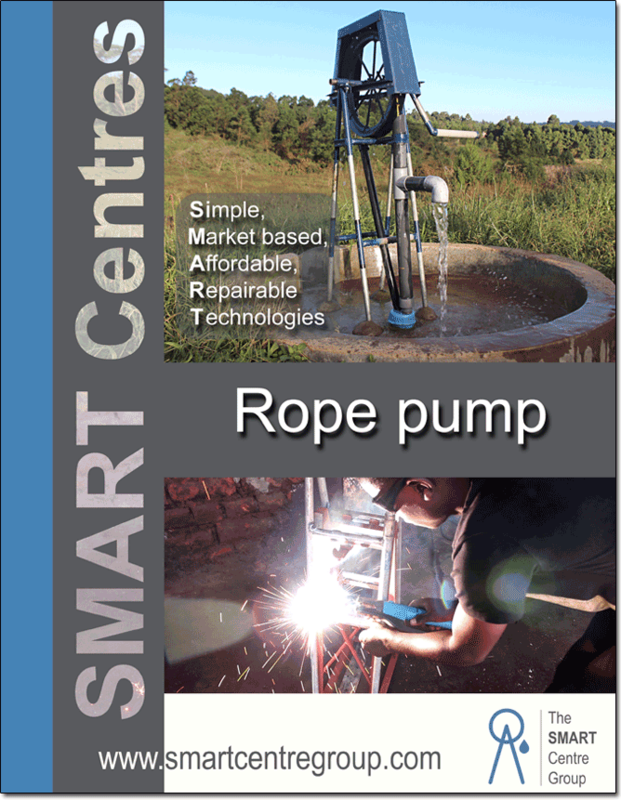 Manuals are developed in cooperation with other members of the SMART Center group. 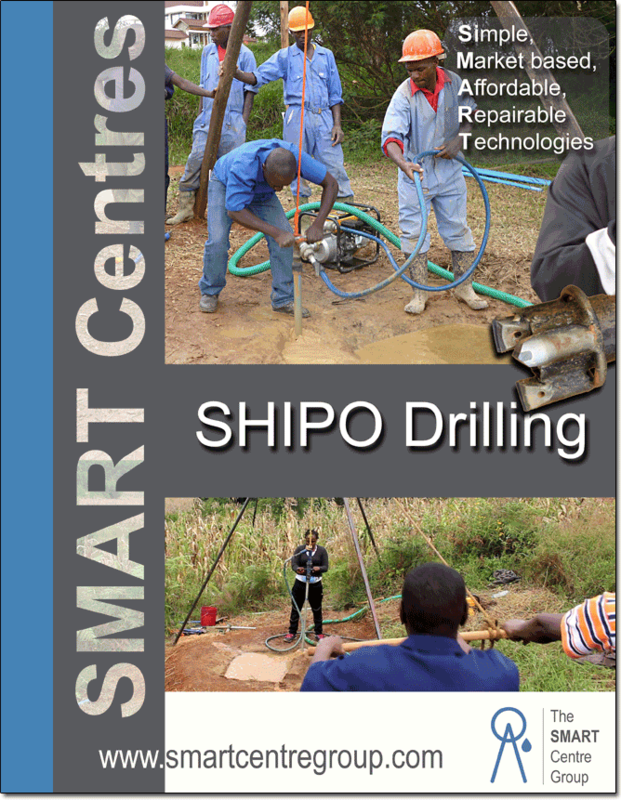 The SHIPO drilling combines sludging, percussion and jetting. 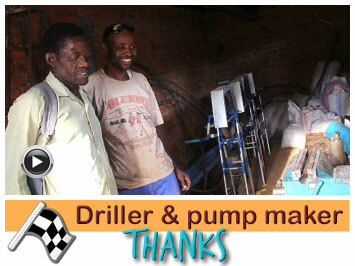 It includes aspects of Rotary jetting and of the Baptist drilling technique. 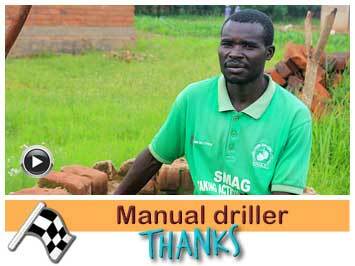 The SHIPO drill method can drill in non consolidated deposits of sand and clay, small gravel and weathered rock, also hard layers can now be drilled with new drill bits with tungsten tips. For gravel or stones from 1 to 3 cm an open bit can be used combined with sludging by hand. Many hand dug wells dry up at the end of the dry season, because more water is taken out than is coming in by the natural recharge. Reasons of limited groundwater recharge are heavy rainfall in short time, (climate change) compact topsoil layers, erosion because of loss of vegetation, etc. Options to increase the recharge of ground water are above or underground dams, the planting of trees and plants such as vetiver grass, making contour canals etc. 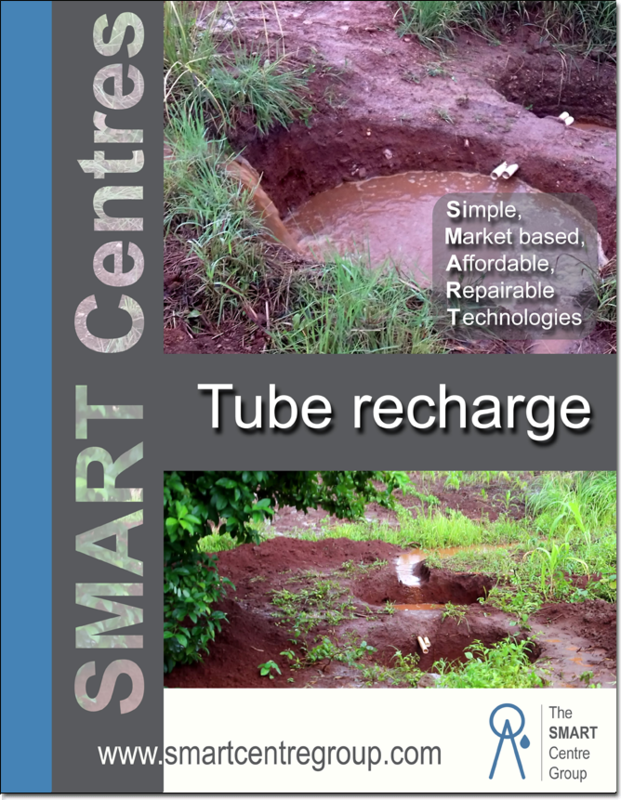 An other option is the so called “Tube recharge”. 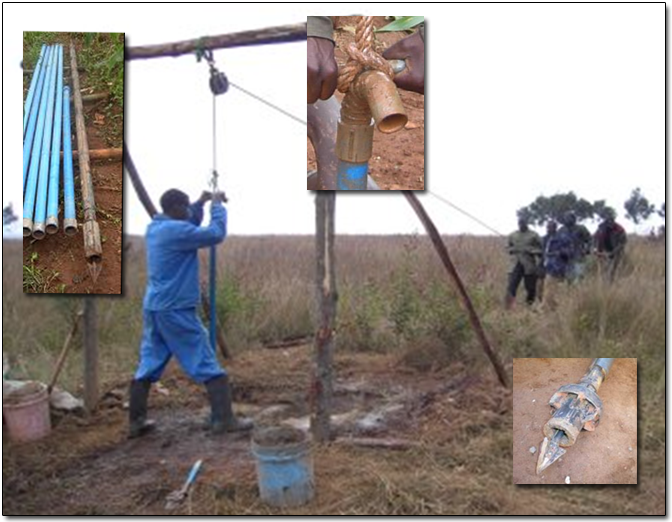 This low-cost option combines a manually drilled hole with a drainage tube, a filter and a small pond. Rainwater, that otherwise would run off to rivers or evaporate, thus penetrates into the ground and reaches the first aquifer. Does your hand dug well run dry? 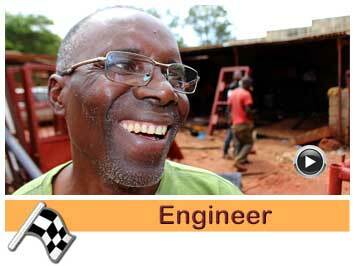 Is the wall of your well unstable and dangerous for someone to dig deeper? Often the bottom of your well is than sandy. 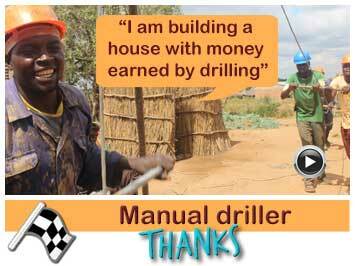 In that case the Mzuzu drill can help. Learn how it is done. It is advisable to add a simple ground water recharge system to increase your ground water level. 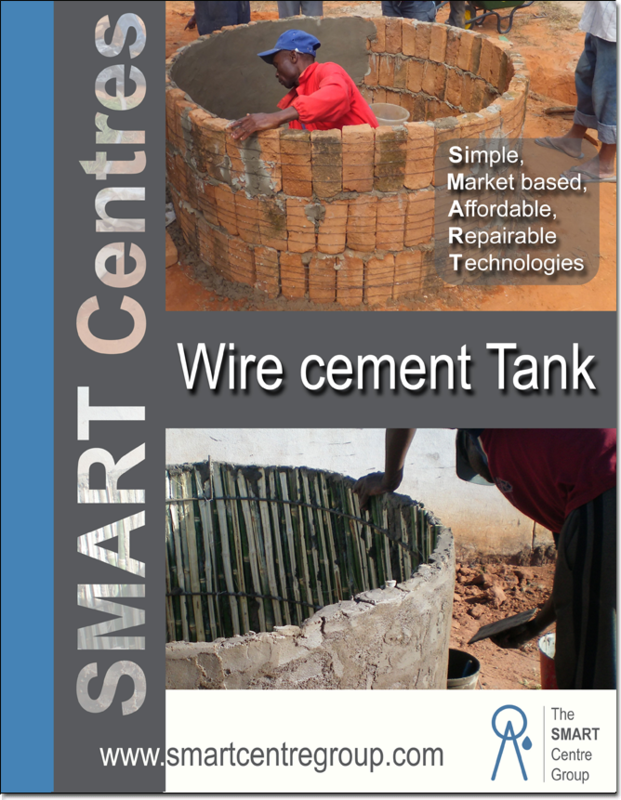 Learn how with the help of SMART Centre Zambia. 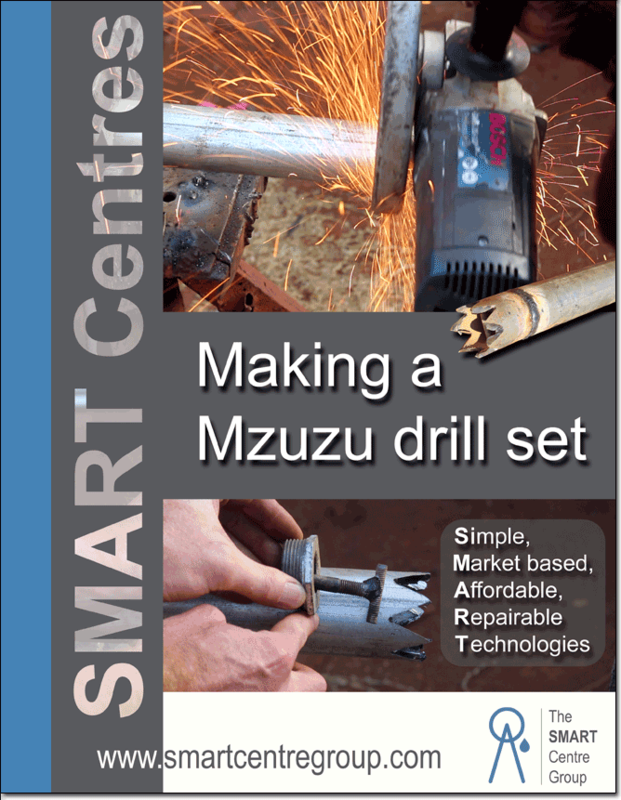 Also learn how to make a Mzuzu drill set, recharge your groundwater level, make pumps and install them with other resources on this page. 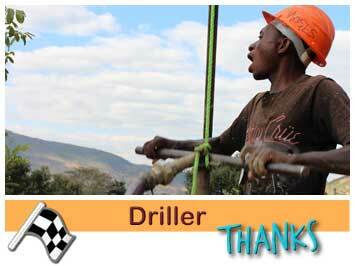 Mzuzu drilling can be used for deepening an existing hand dug well or making a new “borehole”. 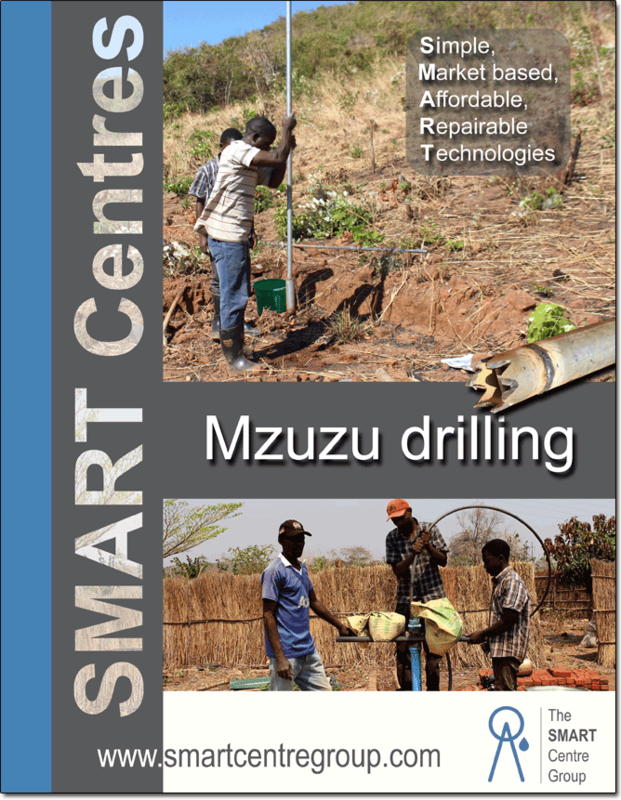 Mzuzu drilling is one of the most affordable methods but not suitable for all conditions. 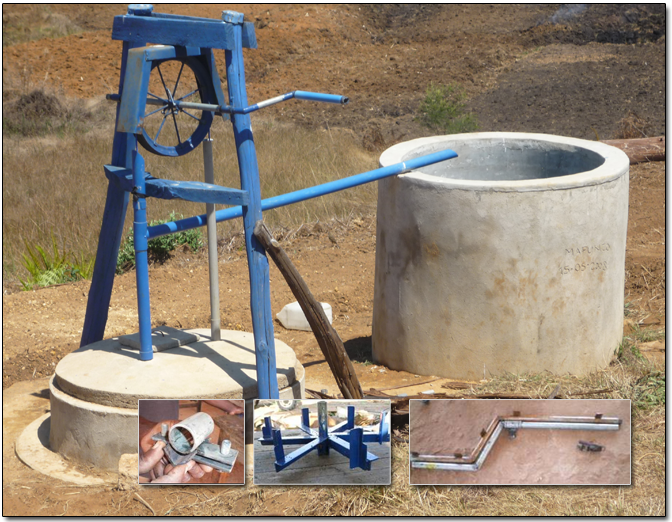 Many hand dug wells are drying up (due to climate change). 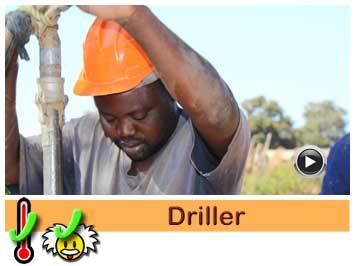 Digging deeper is often dangerous, especial when the well wall is unstable and is collapsing. 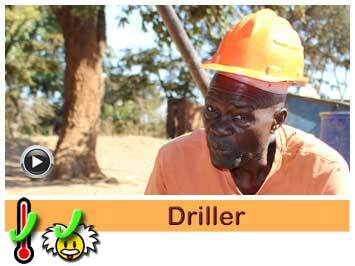 In these cases the soil condition is often ideal for Mzuzu drilling. Let us help you find out if this method could work in your area. 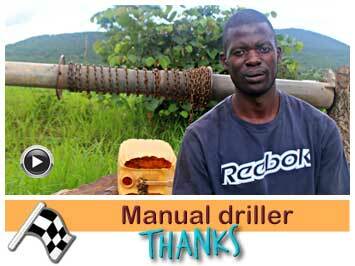 Learn how to use the Mzuzu drill below. until 9 litre/minute with pump pipe ½” until water levels up to 35 meters and variations in between. The name A model is because of the pump’s structure is in the shape of the letter ‘A’. This manual gives you details how to produce this model. 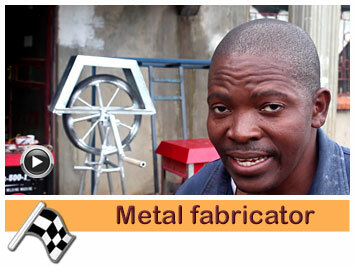 The EMAS water pump I can be made from different sizes of PVC pipes and a marble. 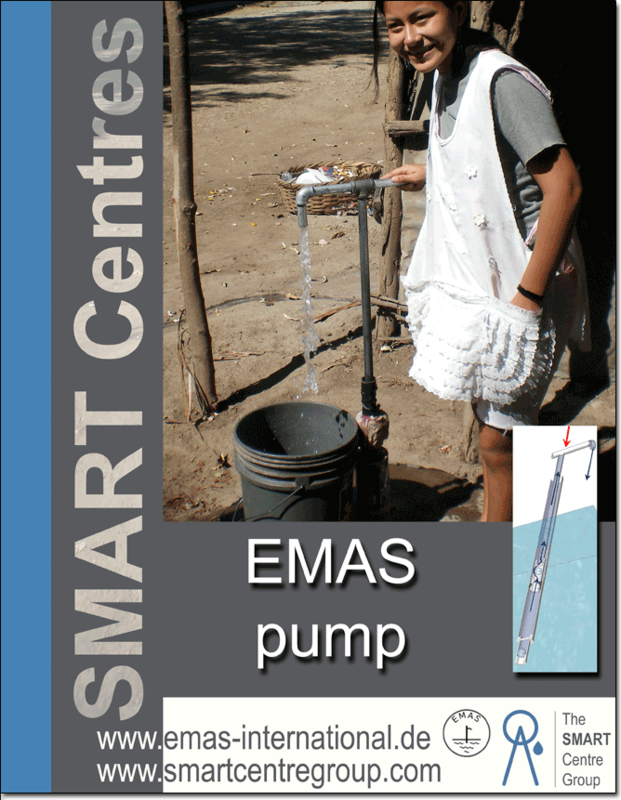 Compared to a rope pump, the EMAS pump produces water under pressure. So you can pump up water to a higher lever then where the pump is. 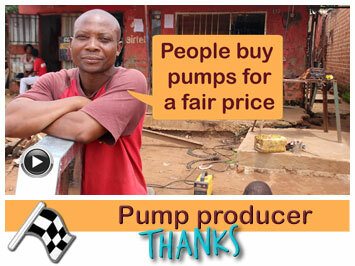 EMAS pumps are also cheaper and easier to make. Yields are however in general less the a rope pump. There is a ton of useful information and instruction videos at www.emas-international.de also about other low cost technologies. We advise to have a look. brick tanks. A small amount of cement is needed. The walls are reinforced with steel wire. 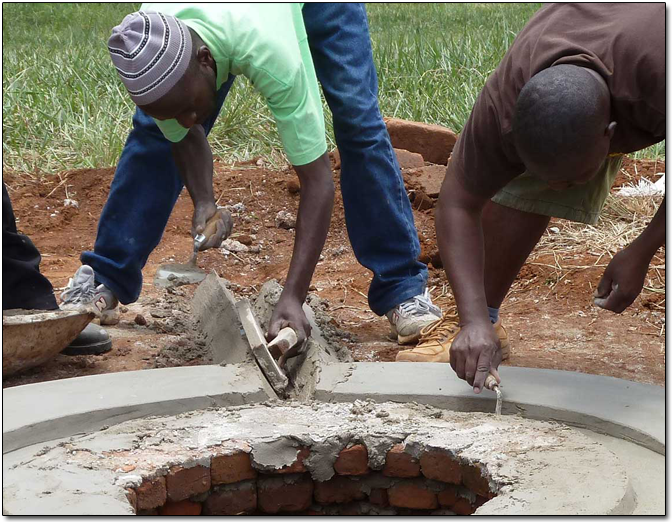 The tank can be placed under a roof to collect rainwater or just beside a well with a pump to store irrigation water. It is advisable to add a simple ground water recharge overflow pipe to store over capacity of water in the ground, ready to pump it up later. This manual gives you all the details how to produce these kind of models. 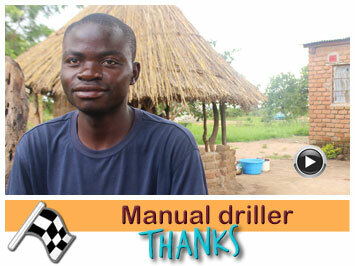 Baptist drilling is one of the manual drilling techniques. 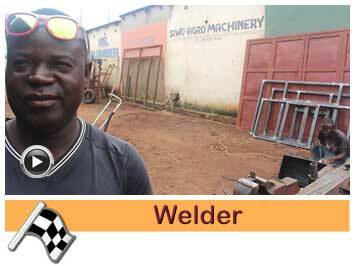 It is named after the Baptist Missionary, Mr Terry Waller who invented the technique. This method is limited to non cemented, sedimentary deposits of sand and clay and will not drill through solid bed rock. Some soft rock can be drilled slowly. For gravel or stones from 1 to 3 cm an open bit can be used combined with sludging. A mayor difference compared to other techniques as the Rota Sludge is that this technique uses 1 ¼” PVC pipes on top of the lower steel drill pipe. 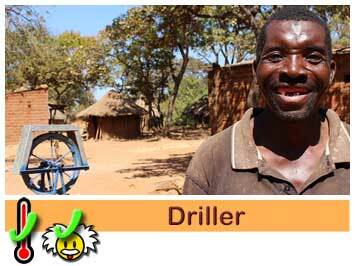 Therefore this option is very light and can drill down to 100 meters deep. See also www.waterforallinternational.org. 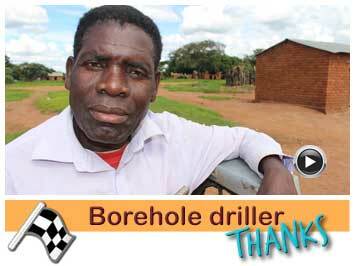 This technique uses a sharp drill bit to loosen the soil and drilling liquid to lift the particles. 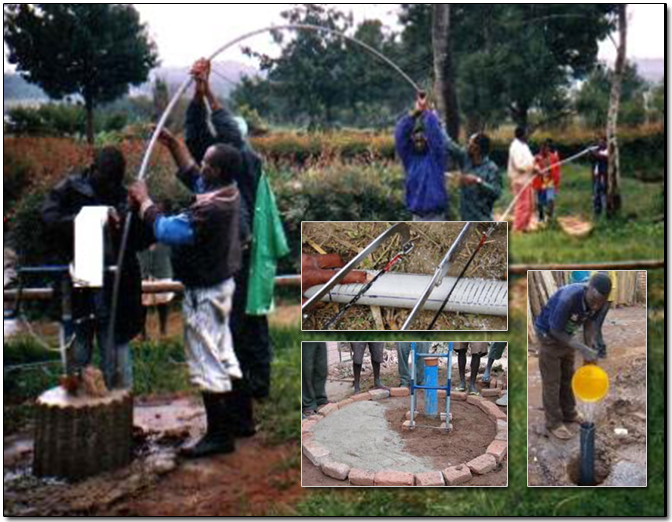 Disinfection of the well water. 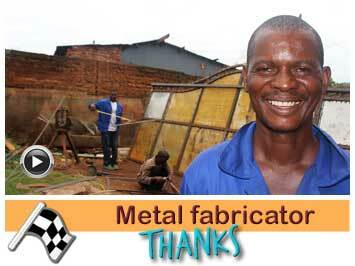 Jacana likes to thank all donors who made it possible to provide these manual free of charge. Did the use of these resources increase your business? Then consider helping us, helping you more and donate a little bit.